Oak Brook, Illinois-based McDonald's is looking to add yet another pair of golden arches to Atlanta. The fast food giant will open a new restaurant at the corner of Buford Highway and McElroy Road in Doraville Plaza on land that was once home to a bank but was leveled previously. The site is an outparcel of a shopping center once home to a Value City that has since become a Burlington Coat Factory. Next door to the Burlington space was a Big Star grocery store that later became an A&P. Today the space is an international market. The immediate area is cluttered with former fast food chains such as Wendy's, Hardee's, Krystal, Taco Bell and Long John Silver's. All of these restaurants closed despite there being a renovated Burger King in the area, a Chick-fil-A in same center and a second Waffle House not far away. Additionally, the former Long John Silver's within the center is also slated for redevelopment. McDonald's has a number of nearby locations, the closest of which is just inside the perimeter, in the 5200 block of Buford Highway. McDonald's also hopes to open a number of other intown locations, among them, one on North Druid Hills Road and another at the corner of Clairmont Road and Buford Highway. 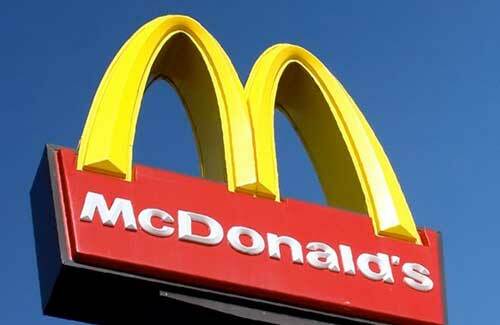 A source tells me that the new Doraville McDonald's is scheduled for completion in 90 days. Another in Dahlonega is to have an existing structure demolished and a new restaurant built within eight weeks. Chase Bank may be opening new branches left and right but McDonald's is building entire restaurants pretty darn fast! Strange move, considering that even the CFA is likely not among CFA's top performers. Why does McDonadls believe that the area can fill new customers? The restaurant won't last long.